Making homemade sausage is a popular pastime, especially among hunters. For many people, it’s a family tradition to get together after the deer or elk hunting season to make sausage. In the old days, the grinding and stuffing was done manually. But these days, sausage-making is made easy with electric meat grinders and stuffers, kitchen scales, premixed seasonings and readily available casings. I’ve taken part in some pretty big sausage-making productions that took advantage of modern-day conveniences. There were times that we were making up to 500 pounds of sausage out of elk and deer — combined with ground pork — in about six to eight hours. It was ground, mixed and stuffed with state-of-the-art equipment and perfectly seasoned. It was some of the tastiest sausage that I’ve ever eaten. But my favorite homemade sausage is made from a recipe that is close to my heart. It came from my dad, who used to go deer hunting when I was growing up. If he was successful in his hunt, Dad would have all of his venison ground into burger. 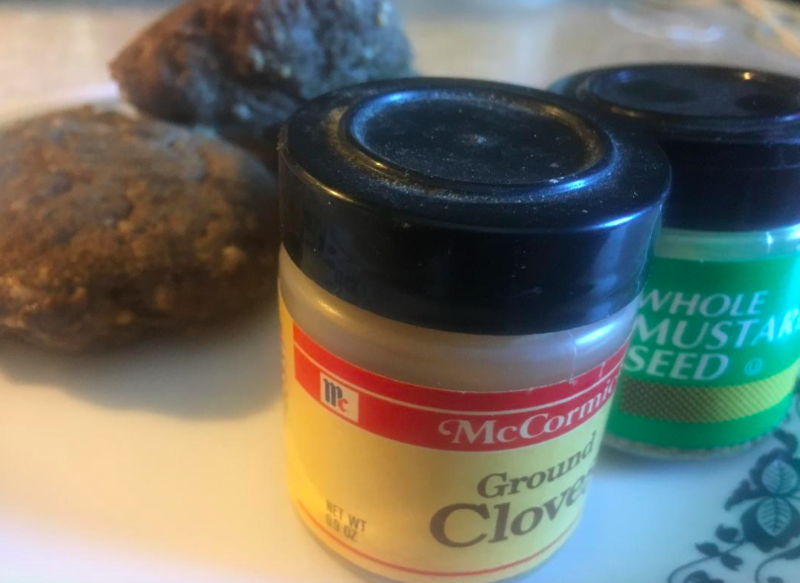 When it came time to cook it, Dad combined some venison with a little pork sausage and seasoned it with salt, pepper and his secret ingredient, ground cloves. Since I no longer get together with friends for a marathon sausage-making session each fall, my fallback is Dad’s recipe. Last year, I was successful deer hunting, so Therese and I ground about 10 pounds of meat by hand and froze it in vacuumed-sealed bags, with about 20 more pounds of trim bagged to be ground at a later date. That’s been plenty to make sausage using Dad’s recipe — and to keep up a tradition that I savor immensely. Mix all ingredients in a large bowl. Form into patties. Place in skillet with about 2 tablespoons of water. Cover and cook on medium-high heat until cooked. Serve with eggs and toast or whatever you choose.